HID (High Intensity Discharge) and can be used to increase either headlights or fog lights for better night vision. It’s more efficient in turning electricity into usable light when you compare it with halogen lamps. HID consumes less power but still provides more light, making it extremely energy efficient and good looking. This 2015 Hyundai Sonata has an HID Conversion Kit installed and it even looks great during the day! 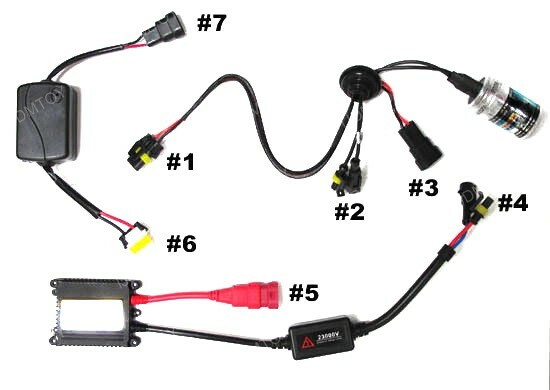 For the Hyundai Sonata, you will need to add a pair of CAN-bus decoders for the HID to function properly. How do you install CAN-bus decoders? The process is fairly simple. Check out the wiring guide on how to connect everything up and make sure you check the polarity before plugging everything in. This entry was posted in - LED & HID Updates, Hyundai and tagged aftermarket, car accsessories, car lights, car parts, HID, HID Conversion Kit, hid headlights, HID lights, Hyundai, Hyundai Sonata, iJDMTOY, Install, KDM, Korean Cars, LED, Sonata by Shari. Bookmark the permalink.